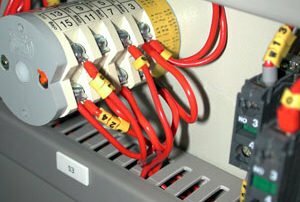 We are a leading company within the mechanical and electrical facilities installations field, both in the Building sector as well as in the Industrial. For a high-quality completion of the projects, we have our own Technical Department with a highly capable engineers developing personalized projects for our costumers. We also provide our customers with all our experienced resources and personnel in order to find and offer the best solutions throughout the entire assembly process. Since our main goal is to please our clients with the best possible service, we take part in the whole installation process adding all the specific technology required, always focusing on the needs of the building or process. 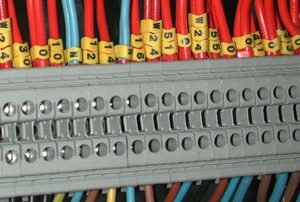 Since CIMELSA is an integral installations contractor, the electrical projects are an essential ingredient in integrating all of the components and parts of a project. CIMELSA has internally organized its operations structure for over 30 years, with the most prepared staff in all the departments that make-up the company, mainly composed of engineers, technicians and production teams. Numerous facilities already executed within the fields we have mentioned are our proven guarantee of success. CIMELSA´s highly qualified technical teams are key in any Mechanical Installation project. The range of services we provide is very complete, from HVAC to plumbing, piping and fire protection, as well as any other mechanical process required in the Industrial field. Our resume of projects in this sector is very extensive with facilities built by our company in a wide variety of Market Sectors. 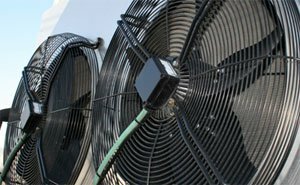 Any required support in order to accomplish all the regulation requirements and energy efficiency demands are supplied by our personnel. That our facilities work properly is not enough. The energy efficiency that we achieve quickly pays off our customer´s investment. We always offer our customers the most advanced technology that the market provides. And if the solution is not on the market our specialized engineers are qualified to search and develop the solution that helps achieve the energy saving desired. We are specialists in global facilities management, both Mechanical and Electrical as a guarantee of our service, quality and innovation. At CIMELSA we provide our clients with our extensive experience and technical knowledge. Every action is a consequence of previous analysis, of a well planned performance and the use of the right resources by our head of departments and project team leaders. There is no room for improvising. The process is sealed when our Quality Department verifies all of the project implementation. We are qualified and trained to perform within the fields of advanced technology such as Renewable Energy systems, Biomass, Cogeneration, Geothermia, Environmental Control Systems, as well as other fields that require advanced equipment and the knowledge of a highly specialized company.